Ah, yes. The joys of cardboard boxes. We buy silly toys and just like human kids, our fur family members want to play in the boxes. Too cute! I was thinking it was truth in labeling for once, with shots 2,3 & 4 anyway! So the Drapers are cutting out the middleman and going straight to the source to handle their business, eh? So efficient (LOL). 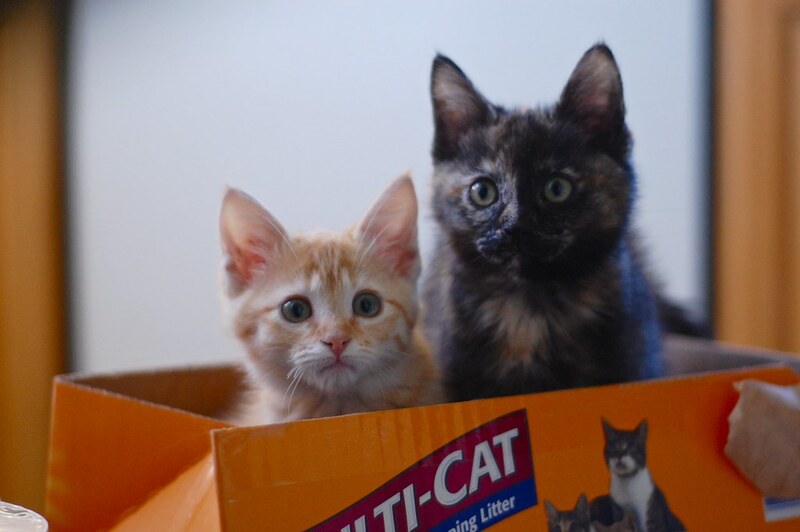 Ok I have to admit that any time the kitties play in the box of clean litter it makes me nervous - I am so glad they grow out of it! But they are super cute - I guess that makes it ok! 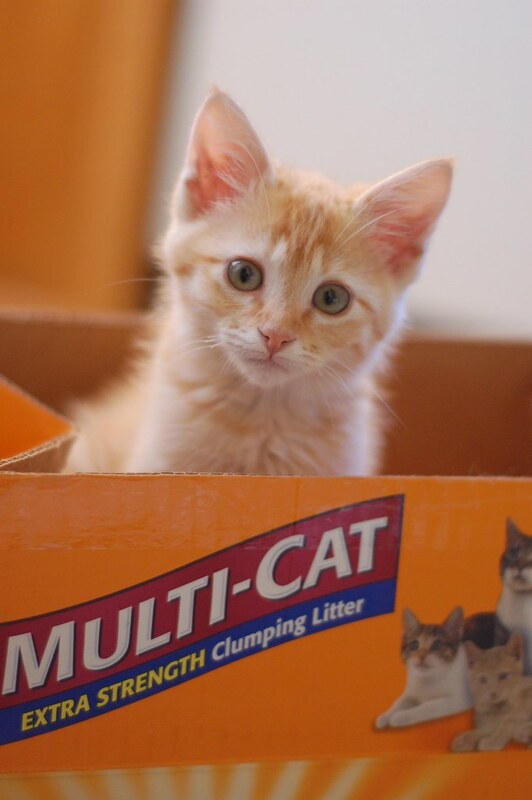 they should be the new face of multi-cat Arm and Hammer cat litter! Love Luella's little paw on the side in 2 and 3! 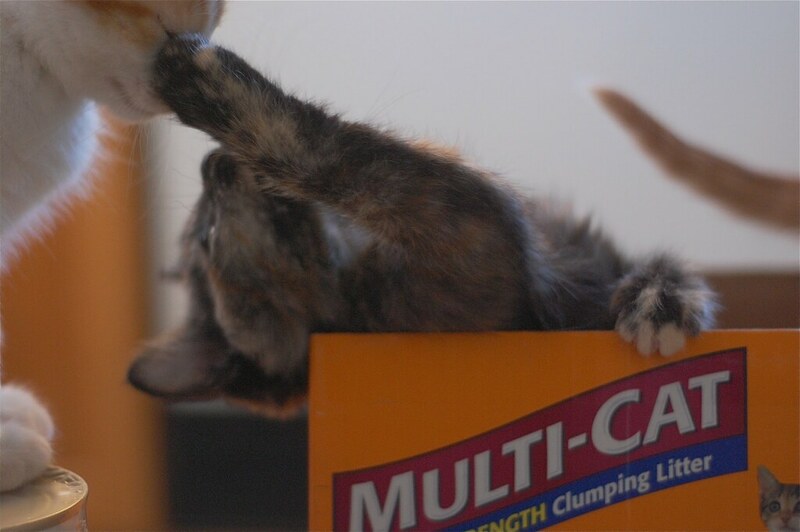 Kitties and boxes are so much fun! My two can't get enough of them. Shot three did me in... upside down in the box, swatting a sibling. Life is sweet! 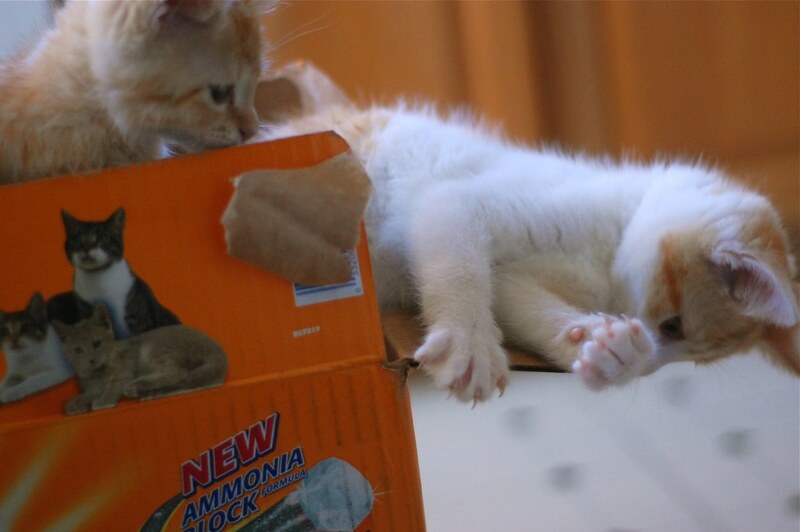 kittens + boxes (or really, anything cardboard) = adorable and usually hilarious! great photos! !Ah! Kitties come in boxes of clumps? I must get some! 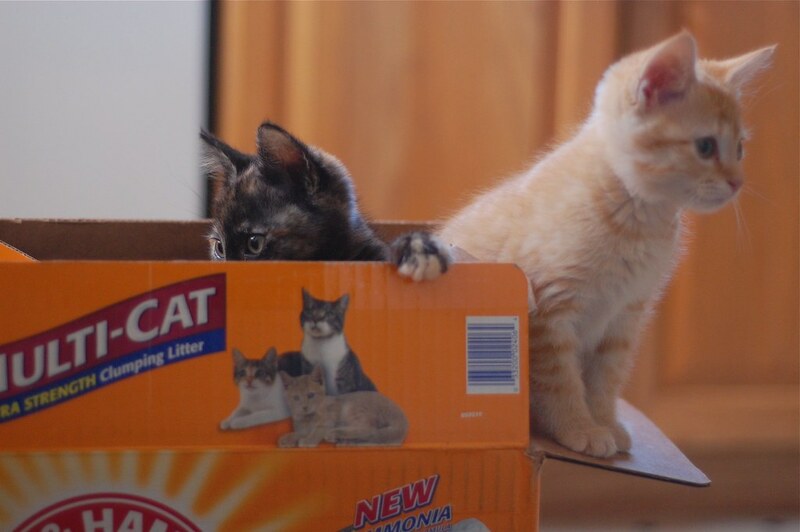 These itty bitties are gowing up to be very wise ~ boxes are the bestest. We love the pics. Hmm, in the last photo, Milie and Louella lok as if they've been caught in the act. But, whatever might they have done?